of life you are in, you are welcome here. We have quick links to assist you in finding anything on this website. Whoever you are, from wherever you’ve come…you are always welcomed at First Baptist Church of Ypsilanti. 6:30 pm, 7 pm & 7:30 pm. Everyone is invited! First Baptist Church of Ypsilanti is extremely happy to announce we have found our new pastor, Dr. Scott Murphy. We are excited about Dr. Murphy leading FBCY as we worship, grow and serve together. at Asbury Theological Seminary then transferred to Luther Rice University & Seminary and eventually earned a Doctor of Ministry with a specialization in Pastoral Counseling at Columbia Seminary. Dr. Murphy was ordained by the American Baptist Churches, USA. 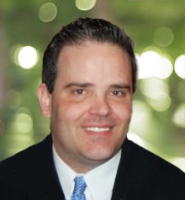 Dr. Murphy’s hobbies/interests include watching college football, going to college football games, reading about college football, talking about college football, coaching youth football, working in the yard and spending as much time with his children as possible.